Well the half-square-triangle left-overs from the patchwork box pouches I made a few weeks ago just kept getting moved around the studio, so I decided to take them with me to my monthly Seattle Quiltie Beeings get together so that I could get some pillow tops together for my step outs in December’s invisible zipper workshops. Years ago they started out in this lovely layout (other color ways here). Sometimes random is the right answer to getting something done. So into a bag they went and I started drawing them out and piecing them into pairs as I did when I made the first HST LOVE quilt. Finished off with invisible zippers. Tutorial for invisible zippers here. I just love the mix of colors and textures. To finish it didn’t need anything beyond a grid of straight line quilting. I had a problem with skipped stitches that was so frustrating and something I haven’t dealt with before. I tried everything to eliminate the issue, but it remained unresolved. Considering the use these would get on the couch I spent a lot of time with my seam ripper. There is no lack of soft couch lounging happening lately, so the addition is welcomed. I’m doing my usual end of the year round up and can’t wrap my brain around how many unfinished projects are laying around here, so I’ve decided to dedicate making them all into some small projects for refining new skills. I’m sure there will be some quilts too. I think I’ll say that this is the last post of the 2016 year:) Our family has a daily practice communicating what we are thankful for and of course this time of year it takes on even more meaning. The other night I was beyond grateful to have a pile of warm quilts to stack on top of my family when our heating oil ran out. Considering some of the extremely disturbing humanitarian issues our world is facing I feel so lucky to live a life where heat is a a pile of quilts and a phone call away. The privilege of being able to teach and share a utilitarian skill that involves artistic creation is honestly something I truly treasure. Thanks for sharing that journey with me this year Peeps. I wish you all peace, kindness, love AND craftiness in the new year. I’m not quite sure where the inspirational starting point was for the Skewed Symmetry quilt. The blocks originally seemed destined to become matching pillows, but from the moment I stacked the blocks it just kind of developed on the design wall organically. The mitered log cabin blocks were the cast-offs from making the Alignment Optional Pillows with my Psychedelic Baby Block technique. The color-way seemed best left alone and I liked the idea of the minimalist blocks partially floating depending on the background. I actually ran out of black fabric, so the planned symmetry of halfing the background eye-catchingly fell into the rule of 3rds instead. Essex yarn dyed linen combined with Cotton Couture’s split personality of a dull and shiny side, offered multiple layers of texture. Improvisationally pieced and designed. I love that. I went vertical with the quilting in a Metler black thread, subdividing the quilt with 1″ lines and then went back in for the fill. I didn’t really worry that they were evenly spaced, just eyed it up on the design wall here and there with distance as my assistant. Some are 1/4″ apart and others a little bit more or less. Unfortunately, I tugged out the top corner of the quilt when I hung it to photograph, but this is truly one of the squarest quilts to date with no waving at the edges. No blocking, so satisfying. 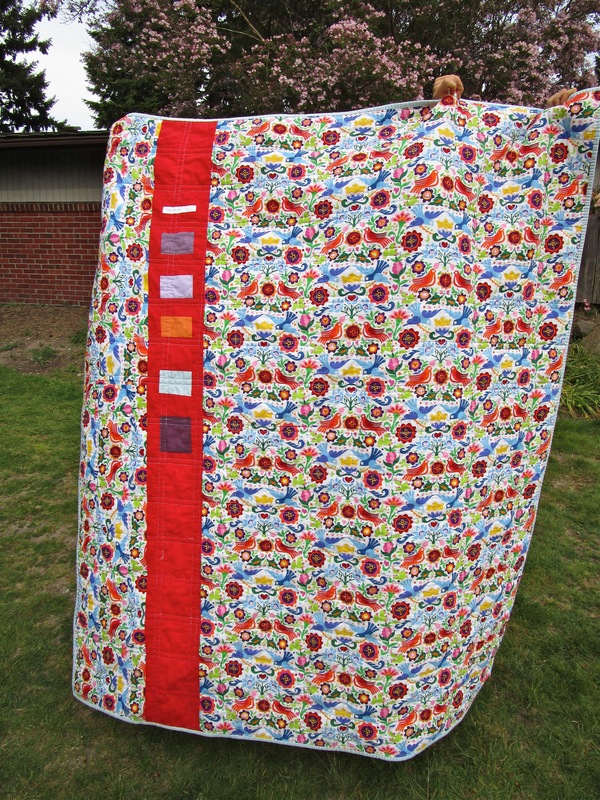 The binding switches out in value/fabric to oppose what’s in the quilt at the top and bottom vertical strips. Not only do I like the design interest it adds, but I was able to scab together enough scraps of black to make it happen. After talking about white batting bearding in my Alignment Optional Pillows post, I actually did have the foresight to order some black batting. All said, done and basted I realized my backing fabric had white in it. I was a little concerned the opposite effect of black batting bearding through would happen, but all went well. This quilt will be a great workshop sample to explain how I improvisationally panel out a quilt on the design wall. I’ll be the visiting artist at the Arts Center of Jackson Hole teaching a two day Psychedelic Baby Block | Improv Strip Piecing Workshop January 21st and 22nd. I’m pretty excited to have two whole days in Jackson Hole to hang out with students and play with both of the blocks this technique creates! I should mention that I’ll also be in B.C. Canada in February and a bunch of locations in Washington come winter-spring. All my locations are up on the Events page. Happy be grateful weekend Peeps! Popping in for a minute in support of The Blogger’s Quilt Festival. 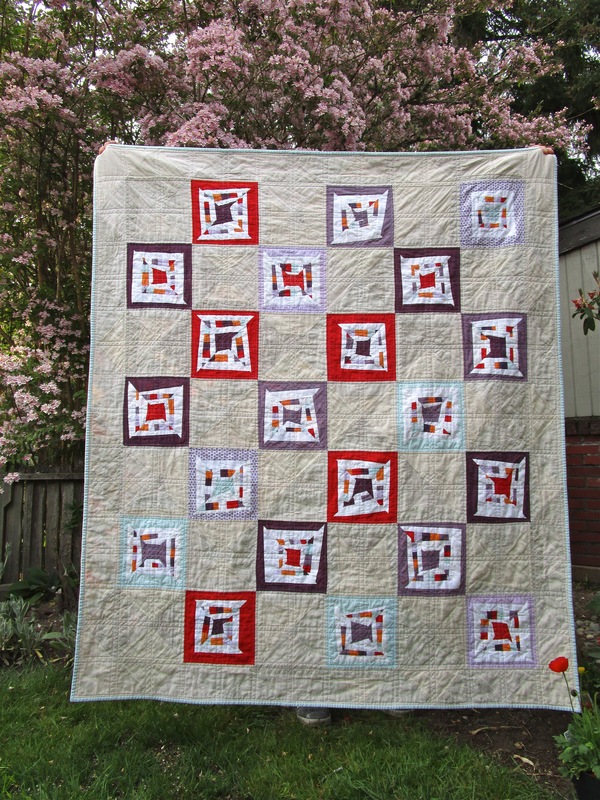 This visual gallery of quilts is the brainchild of Amy Ellis. Amy and I both started blogging around the same time and like other quilters that have continued to share their work online, our blogs have served as a wonderful journal documenting our artistic growth and evolution. 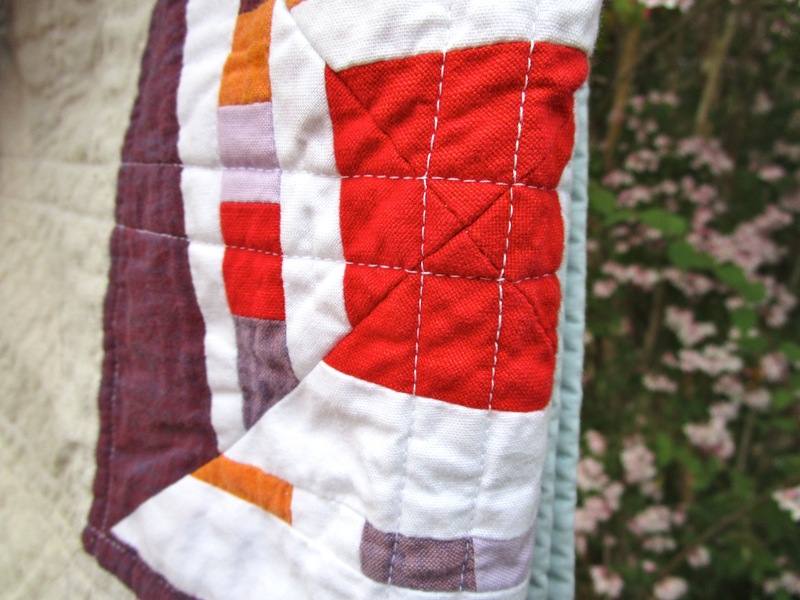 This virtual festival celebrates and spreads our love of ALL quilting. 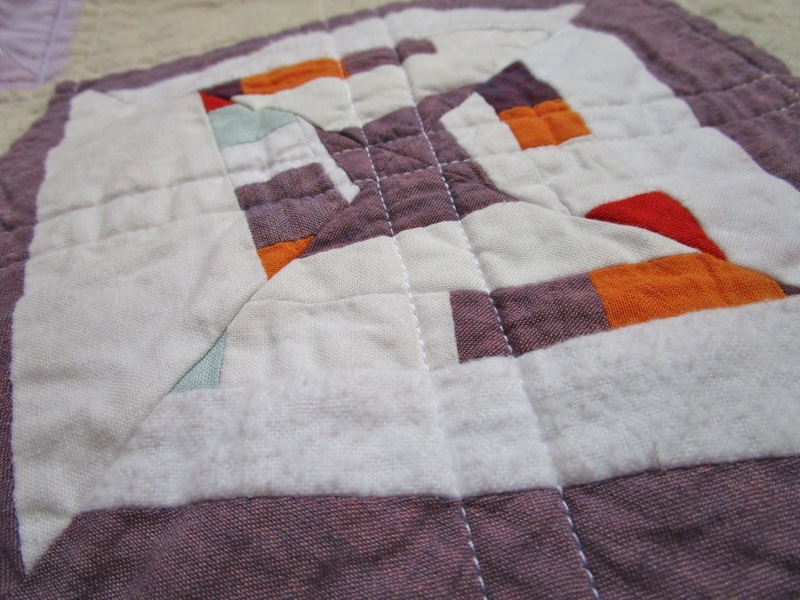 You chose which category to place your quilt submission into. ‘Modern,’ ‘traditional,’ and everything in between are defined by the artists themselves. 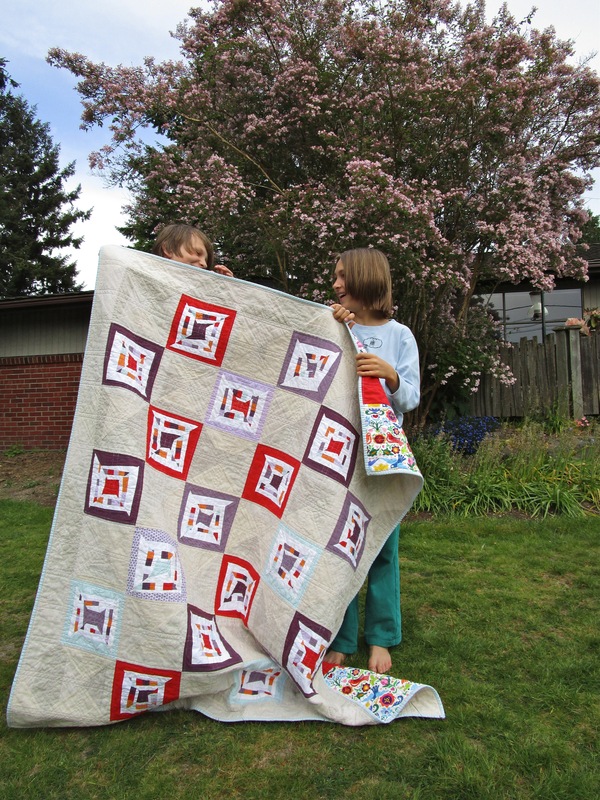 It was a tie for me this year between BIG Tossed Hearts and my No/Know Twin Quilts. I couldn’t single down the No/Know Quilts to one, so I went with BIG Tossed Hearts. 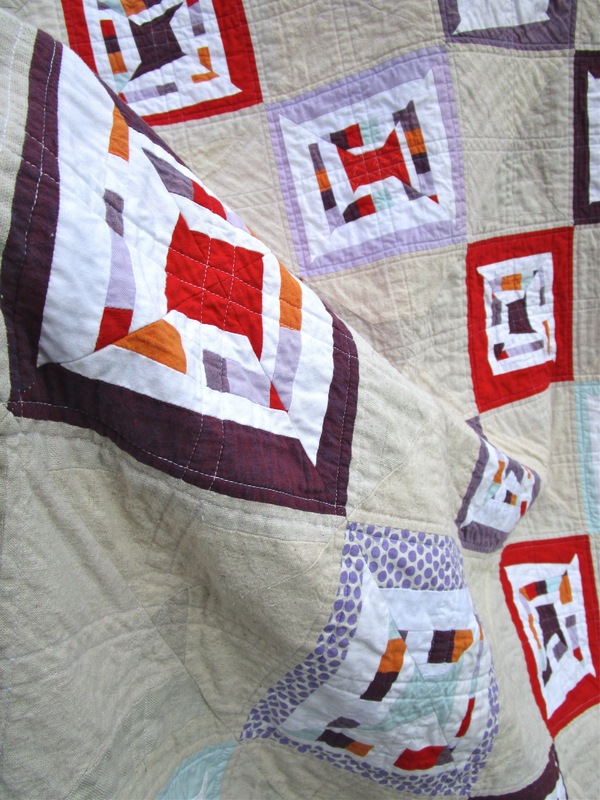 I’ll place this quilt under original design, though I certainly think it could go under modern or scrappy quilts. 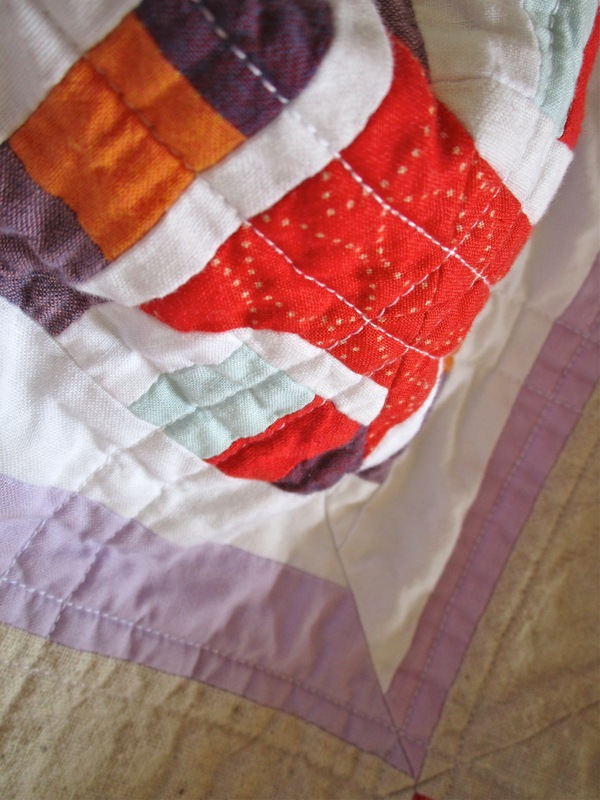 I have a whole write up about this lovely quilt here if you want to know more about its improvisational conception. 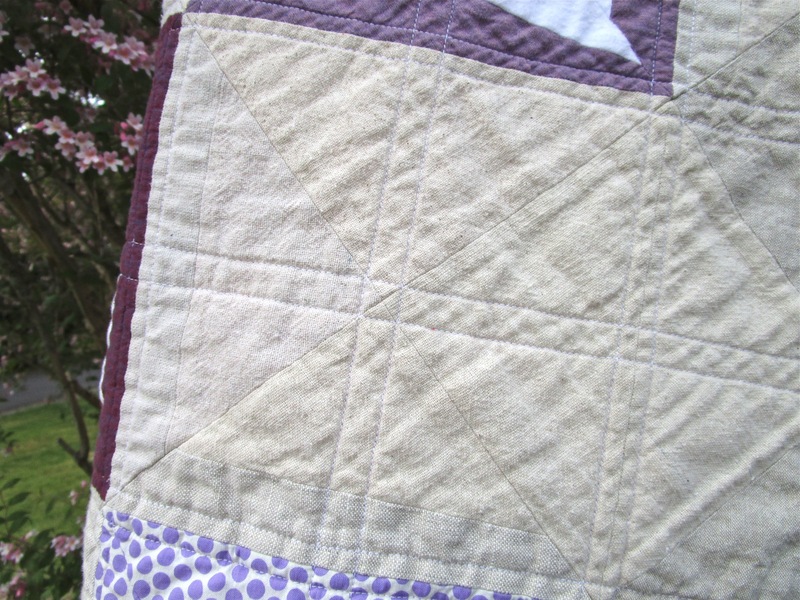 If this crazy piecing technique appeals to you then I’ve got another quilt created using it here. As you can see some other layouts I’ve managed to get somewhat out of my head and into fabric. It really never ends. 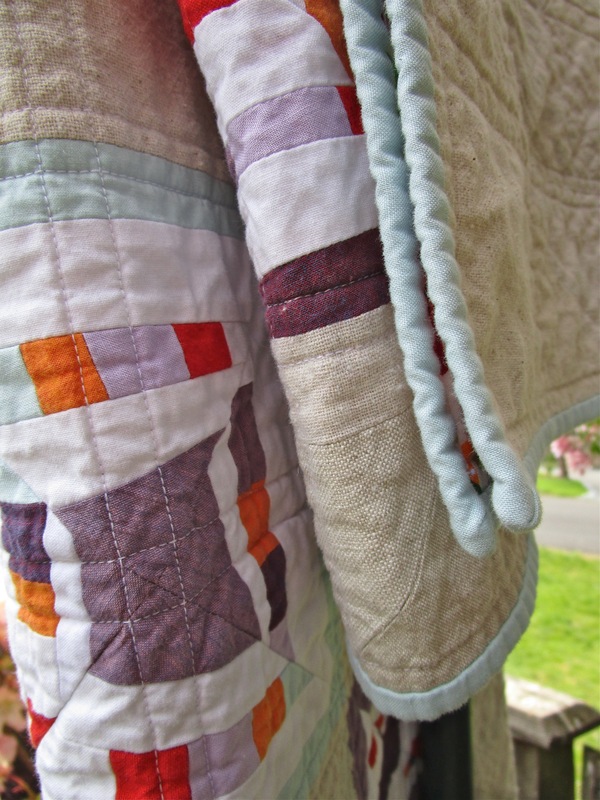 I’m continuing my documentation of projects that haven’t yet made it to my Quilts Page for one reason or another. Mod Pinwheel is another quilt pattern Jacquie and I created for Quilting Modern that didn’t make the cut, but is available as a free e-book. 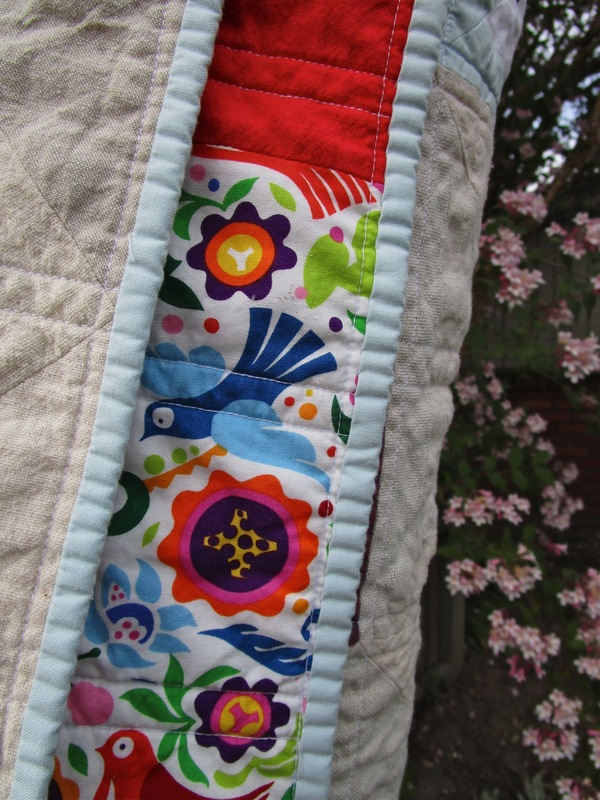 The adjective Mod is a little off for this quilt in my opinion, but we named it years ago. When I look at it now it speaks to the traditional side of quilting that I love, with a taste of something a little different. It’s these ‘eyes’ that are the twist, removing it one step from a traditional straight set layout. Hanging this quilt up gave me a new appreciation for it. As always, I have a love/hate relationship going on with this quilt. A little more thought with the value and color placement might have elevated the design, but truly I think this is a pattern that speaks to going scrappy, something we stayed away from in the book, but where my heart really is in quilting. I see myself playing with this foundation pieced block again with a bin of scraps to see if my vision is true. What a great baby quilt it would make. Teal dot for the binding and a delicious red dot flannel for the back. If I had to pull one component that I love most in this quilt it would be the quilting by Angela Walters combined with the flannel backing. Oh wait, that’s two. I pulled out some sample blocks to dream up something new with, but ‘been there done that’ set in and cutting seemed necessary. You can make your own Mod Pinwheel with the instructions posted here. 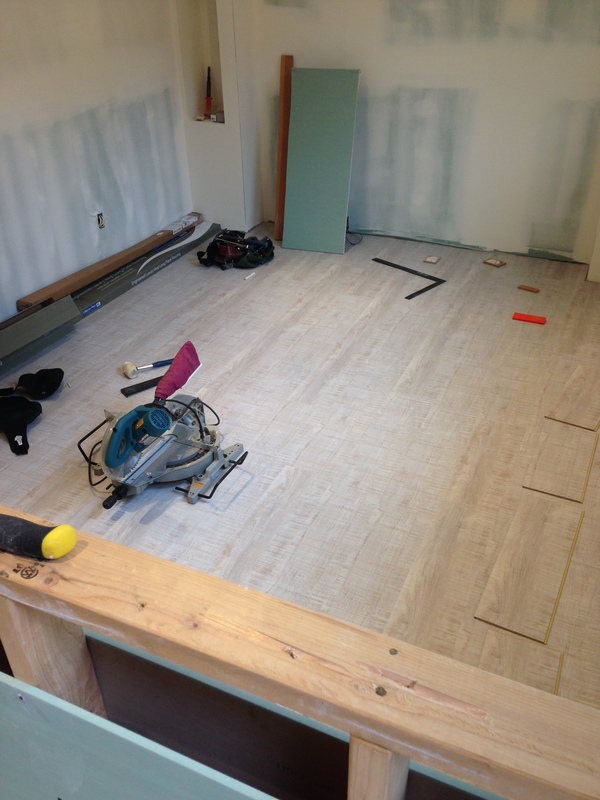 I went ahead and ordered the flooring on the right for the studio. We’ll hopefully install it and paint in the next few weeks. Three Berninas have arrived for student use and tool kits are collected.